Student-athletes in the Minnesota Intercollegiate Athletic Conference (MIAC) continue to achieve in both athletics and the classroom. 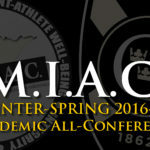 For the second consecutive year, the MIAC has recognized more than 1,000 student-athletes with Academic All-Conference honors. 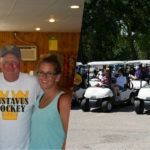 The Gustavus women’s hockey team welcomed alumni, family, and friends to its annual golf tournament on June 19 at the Le Sueur Country Club. The annual tourney helps raise funds for the women’s hockey program, which mostly includes general expenditures. 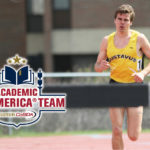 The 2017 College Sports Information Directors of America (CoSIDA) Academic All-America Men’s Track & Field/Cross Country Teams were released Thursday and Gustavus senior Carston Dammann (Lake City, Minn.) was named to the 15-member Second Team. The CoSIDA Academic All-America Teams recognize the nation’s top student-athletes for their combined performances athletically and in the classroom. 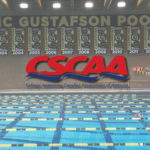 The College Swimming & Diving Coaches Association of American (CSCAA) has recognized both the Gustavus men's and women's swimming & diving teams as Scholar All-Americans. The awards are in recognition of teams and athletes that achieved a grade point average of 3.0 or higher during the 2017 Spring Semester. The Gustie men achieved a 3.24 team GPA during the spring semester, while the women posted a 3.33 GPA and saw four swimmers listed on the Scholar All-America team. The Gustavus cross country and track & field programs will see a shift in coaching responsibilities, Athletics Director Tom Brown announced today. 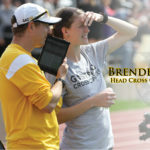 Brenden Huber, who has been the lead assistant for the men’s and women’s cross country and track & field teams the past eight years, has been promoted to head men’s and women’s cross country coach. Dale Bahr, head coach for both the cross country and track & field programs the past eight years, will now focus his attention solely on the men’s and women’s track & field teams. Huber will remain as the lead assistant for the track & field program. 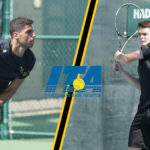 The Intercollegiate Tennis Association (ITA) recently announced its 2017 Division III All-Americans, with Gustavus men's tennis No. 1 singles player Mohanad Alhouni (Jr., Tripoli, Libya) earning a spot on the singles team while the duo of Alhouni and Patrick Whaling (So., Manikob Sabot, Va.) were selected to the doubles team. 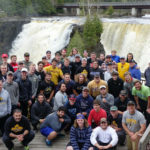 The Gustavus football team wrapped up spring practice May 30, which culminated with a service-training trip to Minnesota’s North Shore and into southern Canada. The international trip allowed the team an additional ten practices and were allowed to wear full pads and participate in full contact drills this spring. While on the trip, the Gusties shut down electronic devices and spent four days competing, serving the local communities, making personal connections, camping, and exploring nature. 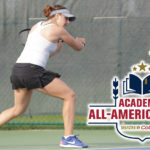 The 2017 College Sports Information Directors of America (CoSIDA) Academic All-America At-Large Teams were released Tuesday and Gustavus women’s tennis junior Katie Aney (Rochester, Minn.) was named to the 17-member Second Team, which features student-athletes who participated in fencing, field hockey, golf, lacrosse, rowing, swimming, tennis, and water polo. The CoSIDA Academic All-America Teams recognize the nation’s top student-athletes for their combined performances athletically and in the classroom. 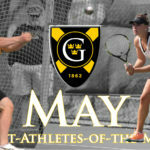 Men’s field specialist Michael Hensch (So., North Branch, Minn.) and women's tennis player Michaela Schulz (Sr., Elk River, Minn.) have been selected as the Gustavus Adolphus College May Male and Female Student-Athletes-of-the-Month, presented by Thrivent Financial and voted on by the Gustavus Sports Information Department.